Vincent "Chin" Gigante, the late Genovese crime family boss, was photographed by Bureau of Prisons officials in 1960 while the gangster was incarcerated at the federal penitentiary in Lewisburg, Pennsylvania. 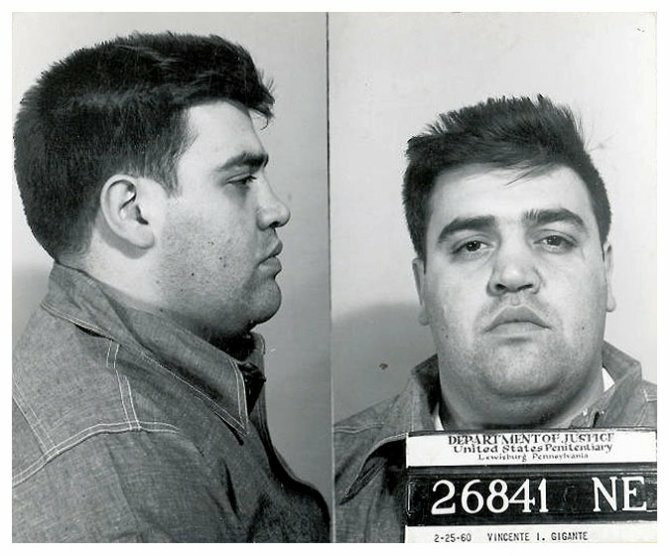 Gigante was serving time for his role in a narcotics conspiracy that was purportedly headed by legendary hoodlum Vito Genovese. Gigante died at age 77 in December 2005 while imprisoned on a racketeering conviction. Submitted by roydawgg on Mon, 2010-11-15 03:01.